Despite its transformational power, the Brand is rarely at the very core of an organisation’s strategy. Meanwhile, disruption is the new normal – and business leaders are faced with spiralling challenges and complexity to grow and sustain their brands in the brave, new world. 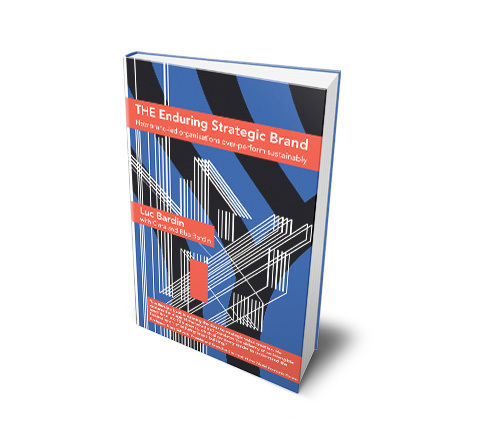 Through candid and unique interviews with over 40 C-suite leaders – as well as ground-breaking forensic analysis of 20 Brands from BMW to BP and Airbnb to TATA – THE Enduring Strategic Brand shows that the best performing organisations are built on Strategic Brands. Author Luc Bardin investigates precisely what it takes to build and grow a Strategic Brand – and provides an effective system of 13 vital Brand imperatives that empower the enterprise to outperform competitors and sustainably deliver the best shareholder returns. This is a strategy book, not an overview of theory or tactics. It is written from the frontline by C-suite practitioners, for their peers, board members, CEOs, and CMOs, who all share the highs and lows of driving value creation, day in, day out. Former CEO of global businesses and Group Chief Sales & Marketing Officer of BP, the author argues that he would have benefited from the strategic framework of THE Enduring Strategic Brand when in post. He submits a rallying cry to build Enduring Strategic Brands into the ultimate weapon of success for any enterprise. Luc Bardin’s book is opening the door to strategic value creation. He captures the magic of the brand and translates the alchemy of an intangible asset base into 13 elements, which allow every reader to understand the fascinating art of enduring brand building. Those CEOs who already grasp the strategic value of their brand will find this book welcome, research-based validation. Those still doubtful will find it highly enlightening. And those who ignore it may continue to struggle to make strategic sense of their companies. I hope it’s hugely influential. Luc Bardin’s work highlights the connection between the creation of enduring and increasingly valuable brands and successful strategies, implemented and adjusted as markets and circumstances warrant.